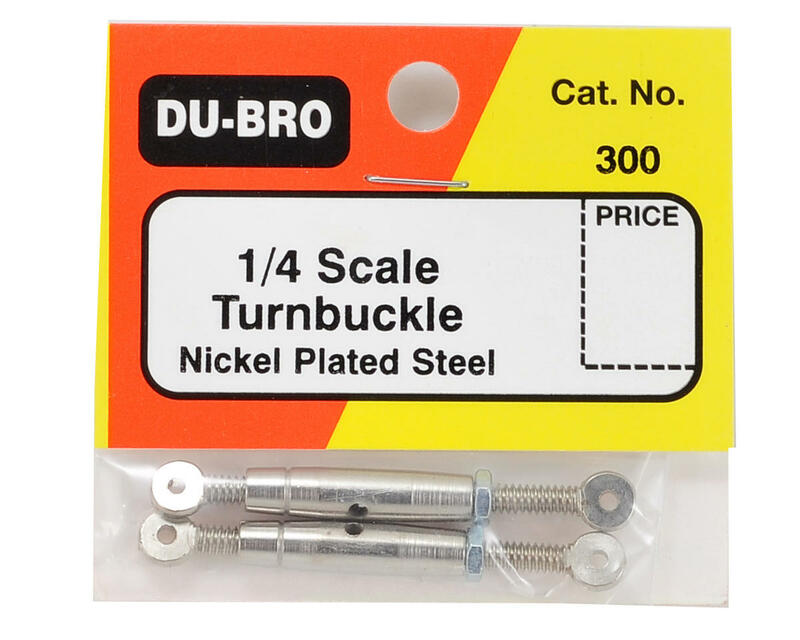 This is a pack of two Du-Bro 1/4 Scale Turnbuckles. 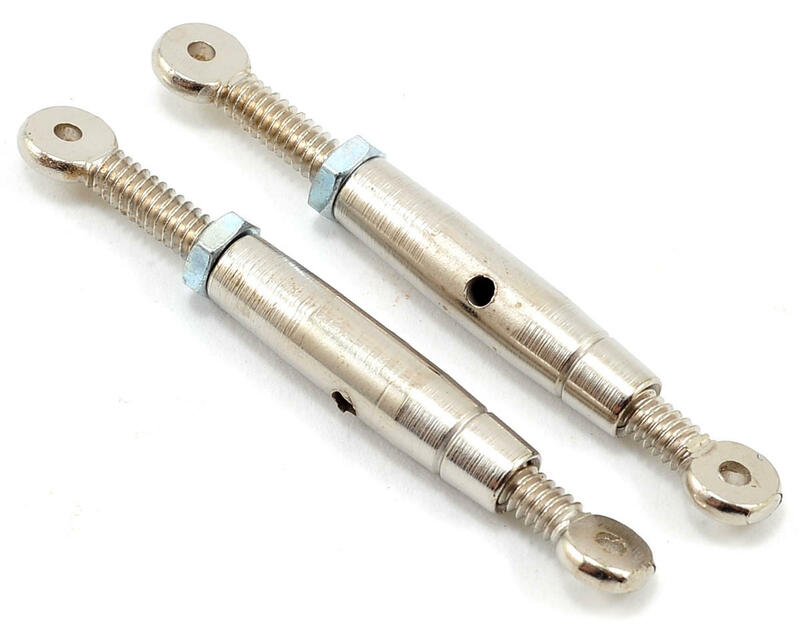 Dubro 1/4 Scale Turnbuckles are not only completely functional, they look awesome too! When attached to your guy wires (flying wires) they add a touch of functional class to all larger scale models.